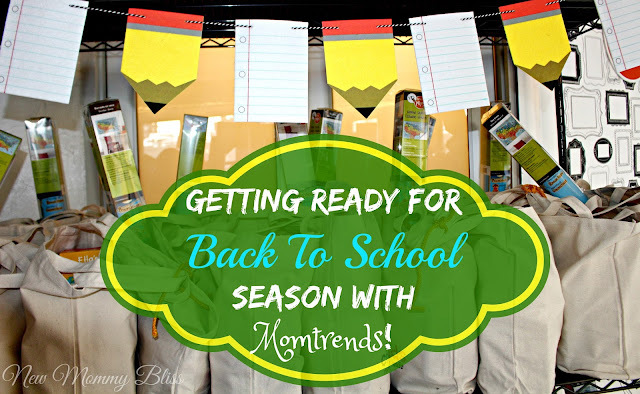 Getting Ready for Back To School Season with Momtrends! All attendees received Gift Bags for attending. 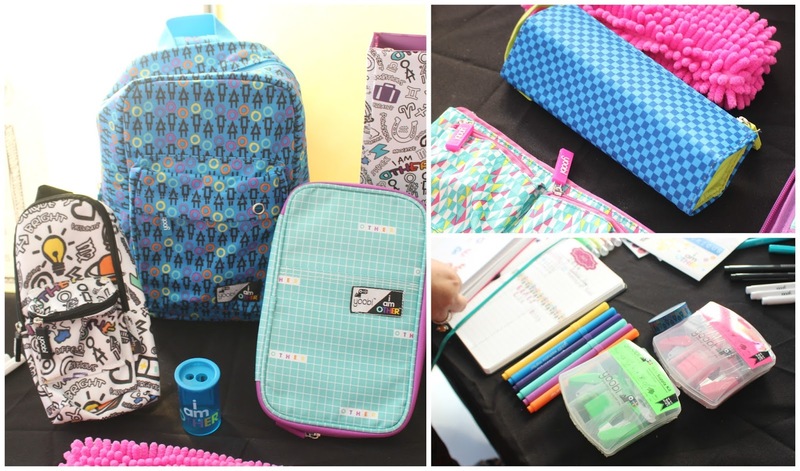 First off, I like to stop at each table and say hi to all the brands I've worked with in the past while familiarizing myself with everything that's new and awesome for Back To School. I stopped at Keen Kids Footwear just to say hi because I had already attended their previous event/showcase. Their shoes are so comfortable and rest assured that you don't have to give up style for comfort with these as they are great with everything and come in Various styles and colors. Vamousse was a regular contender offering beautiful braids at their hair station. Vamousse Lice Treatment is clinically proven to kill lice AND eggs with just 1 treatment making it a hair care essential perfect for the BTS time when kids can get Lice. Chew Beads have designed new JuniorBeads that can bring an outfit together as they are colorful and stylish. Gabby insisted on wearing her Glowing ones as well as a star set that we got from our lovely friend at @DellahsJubilation. They will be a hit in school as their bright colors are super fun for all ages. 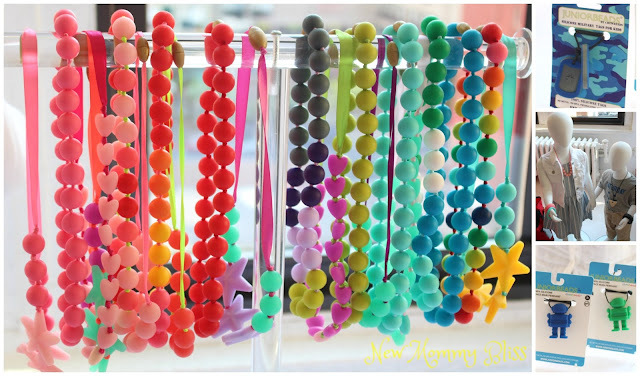 The JuniorBeads were also made to help children who are nail bitters as they may also be used as a sensory chew necklace under adult supervision. I told my daughter "Don't bite your nails, bite your beads" and it has worked. Joules is a brilliant bristish brand which features bright, high quality and uniquely designed kid’s clothes just right for girls & boys on the go. With an emphasis on styles, colors and unique prints that they'll love. The brand carries clothing, outerwear, rainboots, lunch bags and backpacks! Yoobi School supplies are always so fun to shop for, especially for kids. Yoobi is a wonderful brand and I love them because for every Yoobi item you purchase, a Yoobi item will be donated to a classroom in need, here in the U.S.! It’s a great way to teach our children to give back. Yoobi has also teamed up with Pharrell Williams for their new collection I am OTHER which aims to inspire your kids and gives them confidence to celebrate their uniqueness and embrace what makes them different. We are fans. It wouldn't be a BTS event without Mabel's Labels and we are always excited to see what's new in the organize and label department! We Label EVERYTHING! I've even used Mabel's Labels to label my daughter's strollers. I mostly love the Tag Mates because no matter how many times I watch the article of clothing, the label is still there and still Legible. 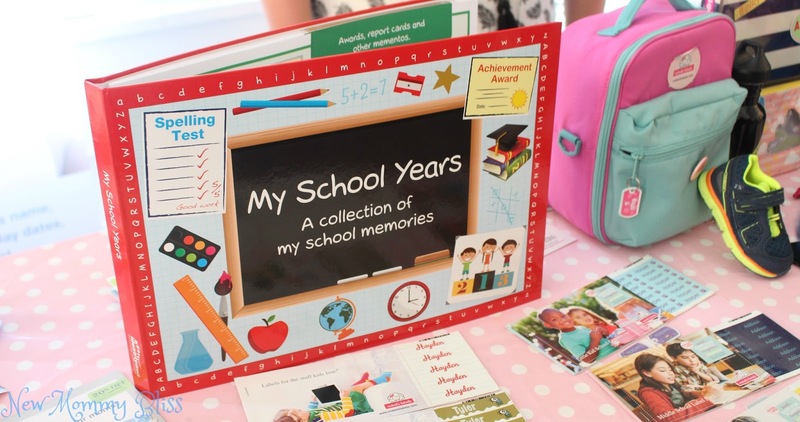 Mabel’s Labels did showcase a new item called My School Years Book. It's an excellent keepsake of your little one’s school years from preschool all the way up to 12th grade! A cool brand I was actually unfamiliar with was Nalgene. They were introducing the Lunch Box Buddy! What's that you ask? 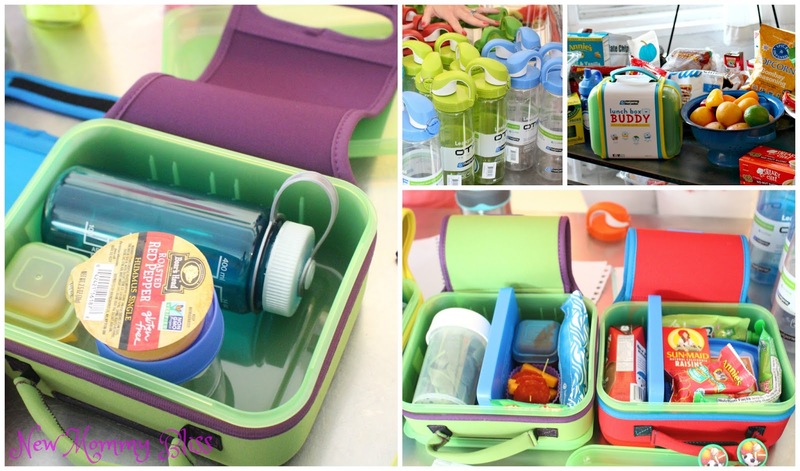 It's a very roomy, rugged Lunch Buddy, that will keep your kid's food cool and their sandwiches won't be destroyed. The lunch box itself is awesome for different meal preps and the moveable Ice pack lets you section it 1 of 3 perfect ways. I look forward to filling these for Gabs. Wall Pops! was there with a fun photo booth set up where all the bloggers got to act silly and take 4 snapshots on 1. They have wonderful Back to school Wall Decals and even some not BTS Home Decor ones which we actually own and love! And Lastly, The fun delicious bites! 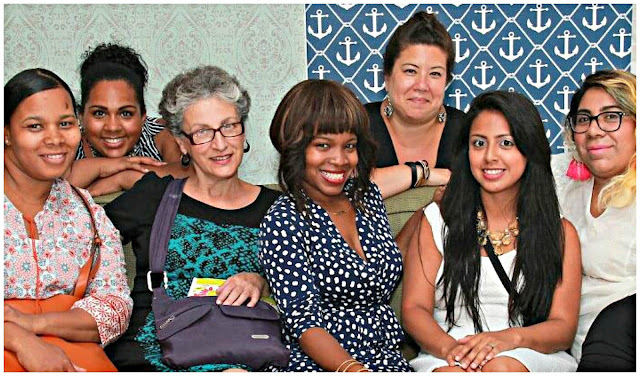 Ella's Kitchen was filling us in on some info about their Healthy and natural organic food for babies and kids. They have a variety of cookies, pouches, and super drink boxes that are perfect for the kiddos to take. Earth's Best was also in attendance giving us samples of their Natural and organic foods, my favorite being the Mini meatballs! There you have it! 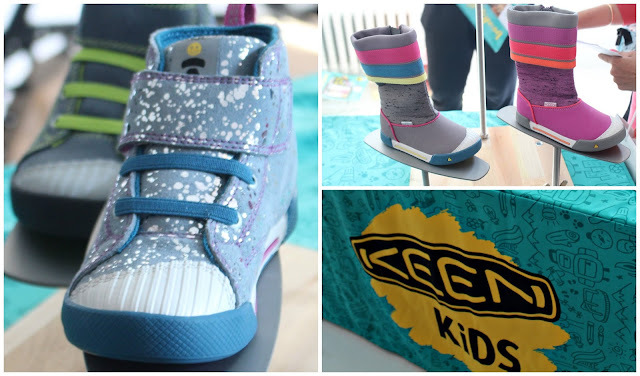 That's all the great stuff that's sure to be a total hit this year for back to school. Let me know which Back To School Brand and Items you like best! what awesome items you have here. I miss my son being younger. He is a teen now and pretty much shops for himself. I want one of everything! Those Keen boots are adorable and the lunchboxes look great. I can't believe it's already that time again! I think the Yoobi line is great! So wonderful that they give back with purchases. I LOVE this place. How cool is it. My fav is the lunch boxes. They actually look big enough to fit an apple inside. Not many lunch boxes do. If I were a kid and had to choose what of this stuff I wanted, I wouldn't know what to do. I would be so overwhelmed that I might pass out! All these items are adorable! I'm not sure what brands I like best, I just get whatever it is that has useful items and the ones that my kids like too. I never though of using those beads for nail biting! I love them for baby teething, but that is a great idea. I can't believe it is time for back to school again! This place looks so fun. The lunch boxes are awesome. I LOVE the chew beads! I'm a teacher and one of my second-graders last year was calmed with oral stuff. I kept straws and rubber bracelets handy for him, but I'll let his third grade teacher know about these beads. They are exactly what I was looking for all school year. I can't believe that everyone is talking about back to school. This is some great gear to get all the kids off to a great school year.